You are not logged in. 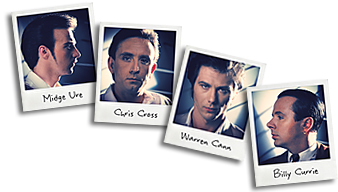 [Log In] Ultravox.org.uk » Forums » Socialising » Introduce yourself... » Hi from Holland! #89551 - Tue, 04 Jan 2011 20:54:00 Hi from Holland! Unfortunately I couldn't see them live last year as I was in New Zealand at the time (which was a nice alternative though!). Maybe this year? #89552 - Tue, 04 Jan 2011 21:40:00 Re: Hi from Holland! #89553 - Wed, 05 Jan 2011 17:50:00 Re: Hi from Holland! #89554 - Wed, 05 Jan 2011 19:52:00 Re: Hi from Holland! Hi, Rick, and welcome! Enjoy! #89555 - Thu, 06 Jan 2011 20:19:00 Re: Hi from Holland!